Alex Often: "In Saratov for the first time will host a major discussion of current topics in the field of veterinary medicine". Today, March 21, in Saratov there will arrive representatives of veterinary services of regions of Russia. They will participate in the meeting of the working group in preparation for the all-Russian Congress of veterinary doctors. All-Russian Congress of veterinarians, held for the first time in the last 100 years, it is expected to be a huge event for professionals in the field of veterinary. In Saratov the event will be attended by the Director of the veterinary Department of the Ministry of agriculture of Russia Maria Novikova, Director of "Center of veterinary" Yury Barsukov (Moscow). In addition, we invited representatives of all veterinary services in the regions of Central and Volga Federal districts, specialists of the Saratov veterinary service. In total, the meeting will be attended by over 350 people. In preparation for the Congress discussion of proposals and policy documents is held in several discussion sites. Including in Saratov. Selected the most relevant topics concerning the organization of vermerovice and development strategy of the veterinary service in the Russian Federation. In our region there will be a meeting of the working group "Laboratory diagnostics" and "Production and veterinary service". In the Saratov region built a network of laboratory units, which fully satisfies the need for accurate and rapid diagnosis for all relevant for our territory animal diseases. Thirteen laboratories accredited in the national system according to the requirements of interstate standards. Alexei Pieces: "We look forward to this event. For the first time at such a high level and on this scale will be discussed topical issues in the field of veterinary medicine: the issues of formation of new legislative base, stabilization of the epizootic situation on infectious diseases of animals, to provide effective veterinary support livestock, and training veterinary staff and social support veterinary professionals. Veterinary medicine — leading the industry in providing the biological, nutritional and food security. 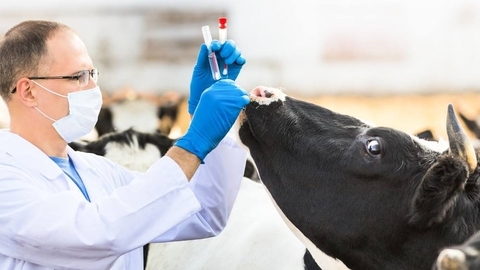 In the light of the increasing volumes of livestock production, expansion of economic ties between the territories and the development of veterinary medicine are gaining immense importance and relevance." The event will be held March 21 at the educational complex No. 3 Saratov state agrarian University. N. I. Vavilov (Saratov, Bolshaya Sadovaya, 220). Within the coverage of the event is scheduled press-conference and press-out in the accredited laboratory of the regional veterinary office.